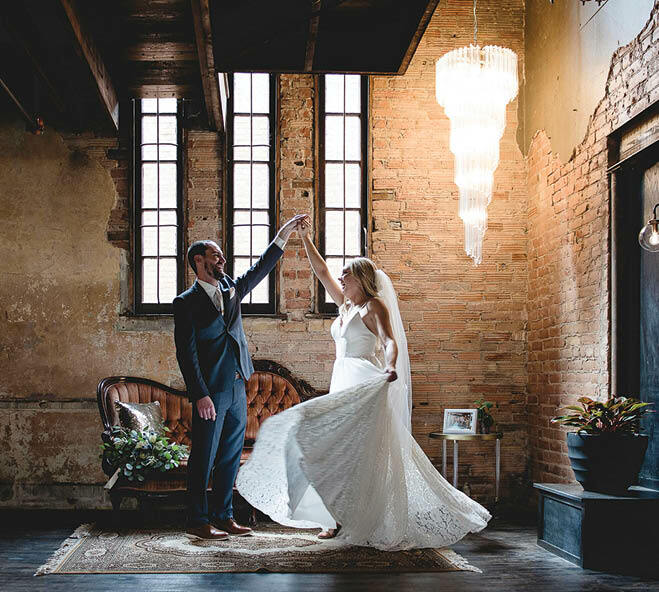 Husband-and-wife team Daniel and Emily Dinsmore opened the Capitol Room in St. Peter because it was what they had sought (without success) for their own wedding. So using their industry experience—Daniel is a veteran wedding photographer and Emily has styled hair for countless brides—plus a whole lot of elbow grease, they created the unique venue they wish they’d had. The couple renovated St. Peter’s historic armory building, built in 1913. It features an original wooden barrel-vaulted ceiling, exposed brick walls and hand-stained maple floors (remember that elbow grease?). 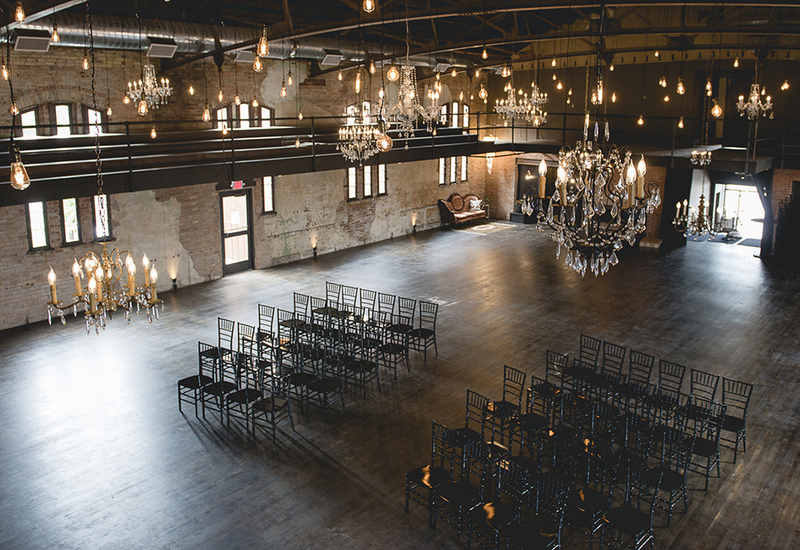 Ceremonies and receptions are held in the 4,100-square-foot, vintage-chandelier-filled ballroom. While the room is converted for dinner, guests can head to the bold cocktail room, complete with a custom bar and art deco mural. Since this couple is so familiar with all the behind-the-scenes wedding action, they didn’t neglect the bridal and groom suites. 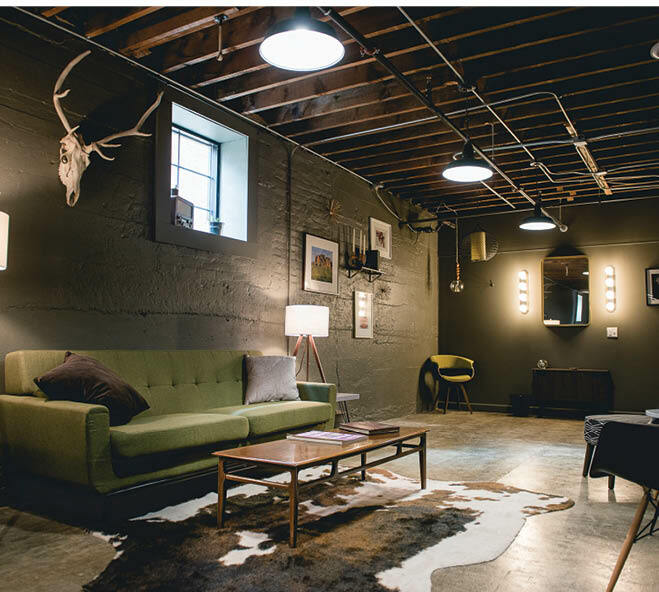 The ladies will enjoy getting ready in the Old Hollywood-style Lillien Cox Bridal Suite, while the fellas can get handsome in the dark, club-like Eugene Cox Grooms Suite.